When: May 29th 2017, 15.30. 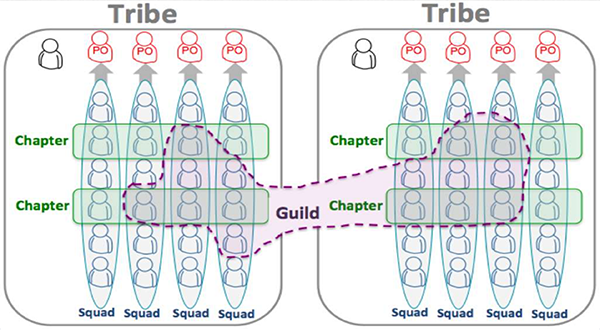 The Spotify Agile Scaling Model is based on Alignment, Autonomy, and Agile, the three pillars applied by Spotify when setting up and scaling their organization. The characteristics of this successful organization were published in the two-part video "The Spotify Engineering Culture"*. In 2015-2016 this approach has been successfully applied by the largest international bank corporation in The Netherlands. The latter transition involved thousands of people and hundreds of teams. It demonstrates that the organizational principles used by 1.000-people-sized Spotify can also be applied on a far larger scale. In this Open Kitchen we will share with you the components of the Spotify Agile Scaling Model. And how it compares to other scaling models like LeSS and SAFe. As always this meeting will be driven by our enthusiasm and knowledge on this topic, as well as by your curiosity, suggestions for improvement and honest feedback.